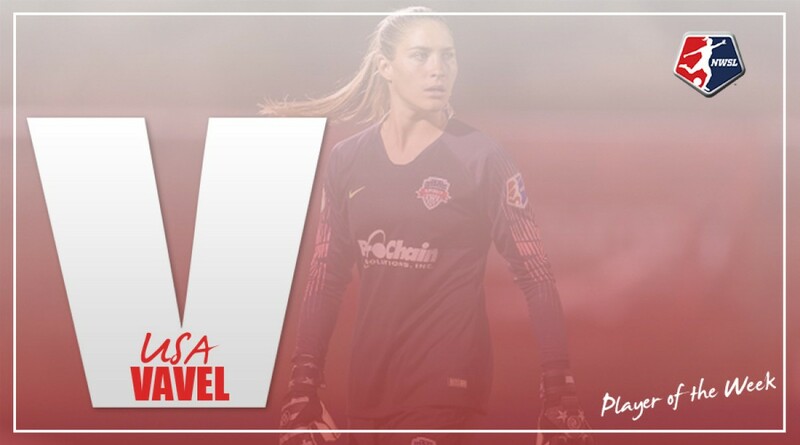 Washington Spirit goalkeeper Aubrey Bledsoe has been named Player of the Week for Week 12 by the NWSL Media Association. Bledsoe is the second goalkeeper to win the award this season after Chicago Red Stars goalkeeper Alyssa Naeher won it for Week 6. Bledsoe has been faced with a difficult assignment this season. The young goalkeeper has registered an unbelievable 63 saves so far in 2018. The next closest player is Sky Blue FC goalkeeper Kailen Sheridan with 38. Bledsoe's week 12 performance against Seattle Reign FC added six saves to her season total, as she stopped all six of the shots on goal attempted by the Reign. The shutout secured a 0-0 draw for the Spirit, who have now finished the last two matches with that scoreline. Bledsoe has earned four shutouts in 12 games this season. Despite her efforts this season, Washington is stuck at eighth place in the NWSL standings with ten points and a 2W-4D-7L record. Bledsoe has had a crazy 12 months. 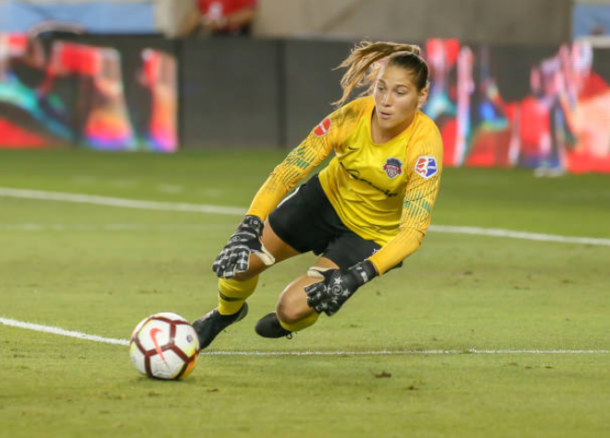 She played well in her backup role for the Orlando Pride in 2017 when Ashlyn Harris was injured and missed a significant portion of the 2017 season. She then, in an effort to increase her playing time, traveled to Australia to play for Sydney FC in the Westfield W-League. She helped guide her team to the playoffs, but they were beaten by Melbourne City FC in the Grand Final match. While she was with Sydney, Bledsoe was traded from Orlando to Washington in a move that would make her the presumptive starter for the Spirit. Since assuming the starting role in Washington the team has had mixed results, but Bledsoe is showing great improvement and clearly doing as much as possible with the number of saves she has generated. Bledsoe and the Spirit will host the Orlando Pride at Maureen Hick's Field at the Maryland SoccerPlex on Saturday night at 7:00 pm ET.